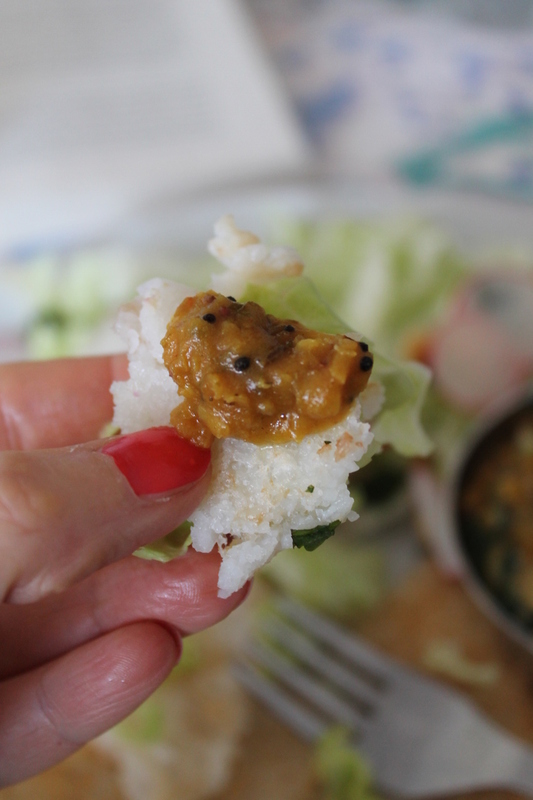 My culinary memories of South India are laced with an impressive array of rice-based creations and infused with the hearty and warm smell of sambar and rasam. Sambar is a thick stew that combines pulse and vegetables, while its versatile sibling rasam resembles a thin, clear and spicy soup. 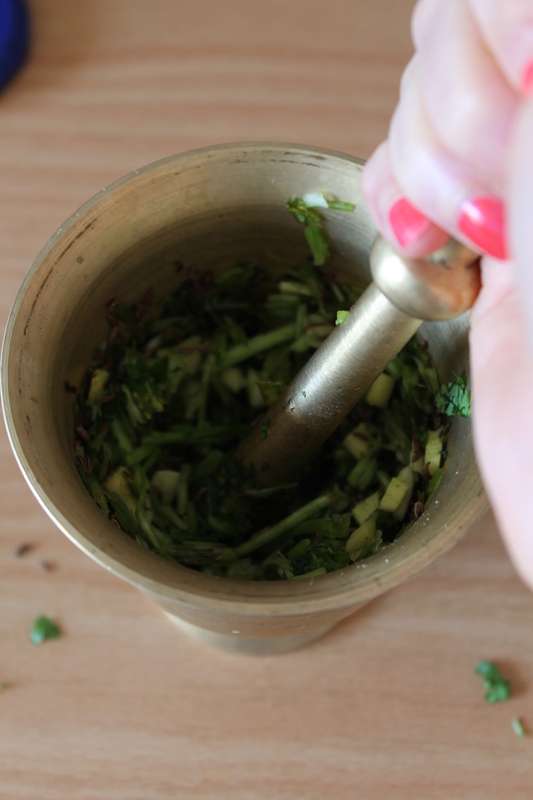 The coriander stems, garlic, ginger and cumin seeds are processed with a mortar and pestle. This lentil stew is not only heart-warming, but also very nutritious. Lentils are full of cholesterol-lowering fibre and a good source of protein and minerals. At the same time, they contain no fat and are low in calories. 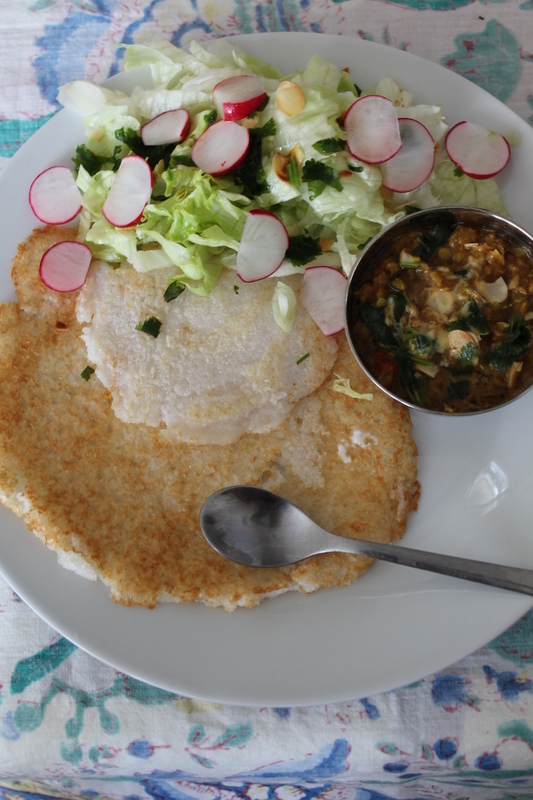 I like eating my rasambar with Indian-style savoury pancakes (dosai), or as a spread on a piece of toast. Of course, it also goes perfectly with rice. 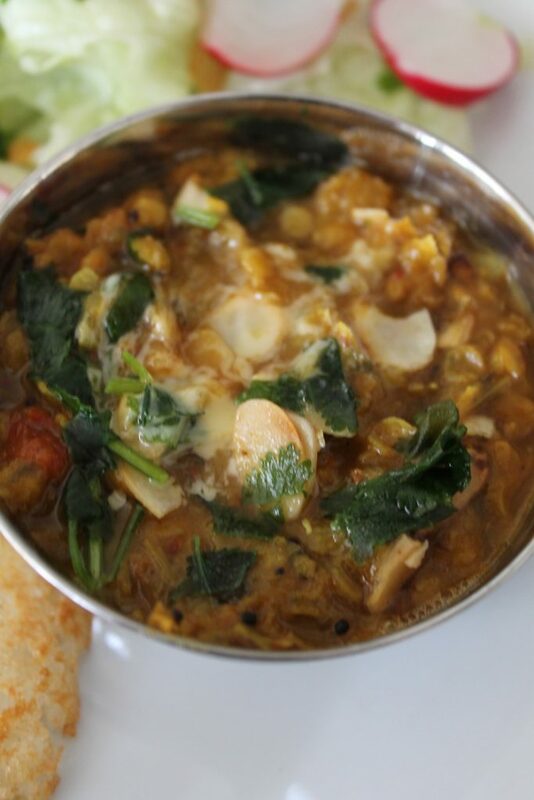 A tasty and nutritious red lentil stew, inspired by the South Indian popular dishes sambar and rasam. Let simmer on slow to medium heat for about 30 min until the lentils are really soft. Serve the lentils with rice or another cereal of your choice, combine with savoury pancakes, or enjoy on a piece of toast. For a more soup-like result, you can add another 200 ml of water.